• Ford Falcon. Features: AUX Port, USB Port. -Perfect to replace worn out audio AUX cable. 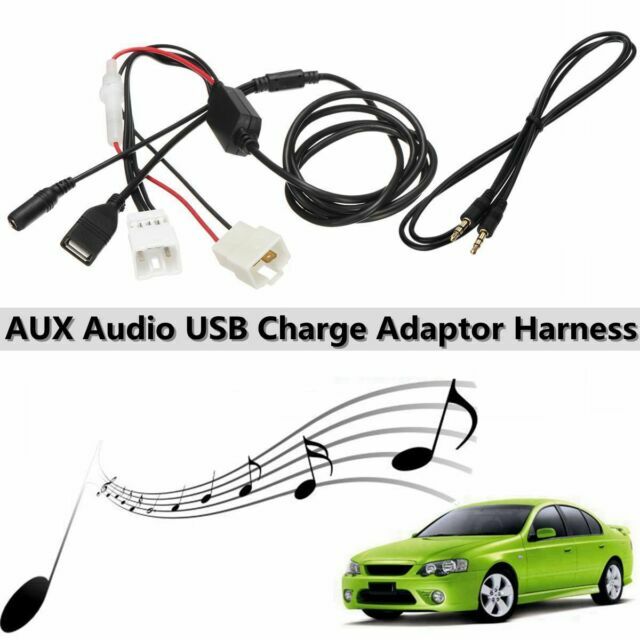 1x AUX Adaptor Harness. • Ford Territory SX-SY (Ghia, Turbo, TS, TX etc). Type: Auxiliary Input Adapter. • Ford BA-BF.